You’ll be amazed by all this home has to offer! 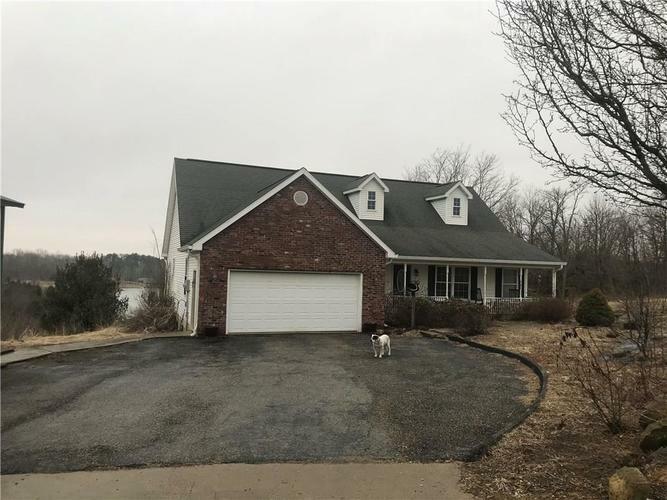 The home sits on 5 acres and overlooks a beautiful lake setting. The home boasts over 3300 sq. ft. of living space with 3 bedrooms and 2 baths on the main level. A huge living room with soaring vaulted ceilings has an open concept design to the kitchen and dining area. The walk out basement has lots of recreational space including a custom bar. Two rooms could be used for extra bedroom space. There is a two car attached garage plus a 30’ x 54’ pole barn with concrete floor and electric service. This home is simply a must see to appreciate all it has to offer.